Jharkhand Police Recruitment 2019 Notification: Information related to the 85 Subedar Major, Subedar (Gen), Nayab Subedar (Gen), Nayab Subedar (वितन्तु), Havildar (Gen), Sipahi (Gen), Sipahi (Driver), Cook Vacancies are released by the Jharkhand Police Department Officials. Therefore, all those Candidates, from Jharkhand, who are willing to work with the Police Department, can go ahead and check the details. And then they can proceed to attend the Walkin. Apparently, the Jharkhand Police Department Officials are going to conduct the Walkin on 18th February 2019 at 10:00 Am. So, interested, candidates, along with all the Documents, can attend for the Walkin. As per the information in the Official Jharkhand Police Recruitment 2019 Notification, aspirants while attending for the Jharkhand Police Walkin 2019, should possess all the Qualifications correctly. If not all such contenders, will not be accepted to participate in the Walkin Interview. Now, go on and check all the details, clearly. And then go on to attend the Interview. Remember to take all the documents, at the time of attending for the Walkin. Well, the Job location for the selected candidates can be across Jharkhand State. Selected Candidates, will get the salary between Rs.20,000 to Rs.25,000/- Per Month. This is surely a good chance for the Candidates, who are looking for the Government Jobs in Jharkhand State. No mention of Educational Qualification. But the officials of the Jharkhand Police Department asked the people who are retired officers to apply. Go through the information given in the advertisement. If eligible, attend for the Walkin. Visit the following address on the mentioned date along with the required certificates. Address Headquarter Jharkhand Armed Police-1 Doranda, Ranchi. 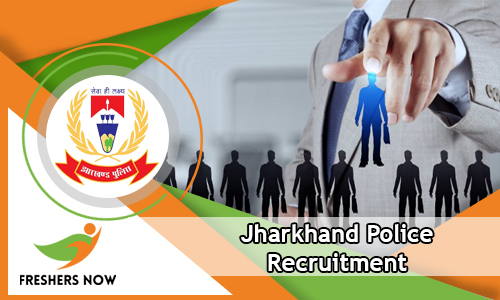 Well, we hope the details given about Jharkhand Police Recruitment 2019 Notification is informative? Then for more such fresh and correct notifications check our site Freshersnow.com daily.